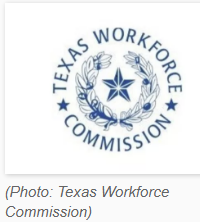 ​​ABILENE, BROWNWOOD – Arrow Ford and Brownwood Regional Medical Center (BRMC) were honored as Small Employer of the Year and Large Employer of the Year respectively at the 21st annual Texas Workforce Conference. Both were nominated by Workforce Solutions of West Central Texas. Arrow Ford, doing business in Abilene since 1964, employs about 125 people, including 13 veterans. “Arrow Ford has epitomized leadership in developing a quality workforce, employing veterans, partnering with local educators and preparing students for their future success,” TWC Chairman Andres Alcantar said in a news release. Arrow Ford reached out to the 7th Logistics Readiness Squadron, a vehicle division of Dyess Air Force Base, to provide training and work opportunities for separating active-duty personnel. This led to a partnership between Dyess AFB and Arrow Ford in developing a solution to reduce tire wear on modified Ford F-350s used by the military to tow munitions to be loaded onto aircraft. The partnership resulted in the immediate hiring of 13 veterans at Arrow Ford. Brownwood Regional Medical Center (BRMC) has been providing health care since 1969 and employs five veterans among its approximately 500-member staff. BRMC is actively involved with West Central by means of a regional health care industry partnership, participation on the West Central Texas Workforce Development Board, support of workforce initiatives such as career days, and use of WorkInTexas.com for recruiting and hiring new employees.